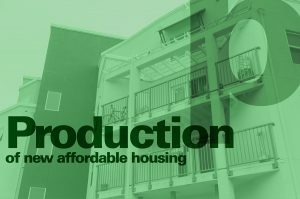 The problem of excessive demand to meet supply is a result not only of not building affordable housing, but of not preserving the housing that already exists as affordable. 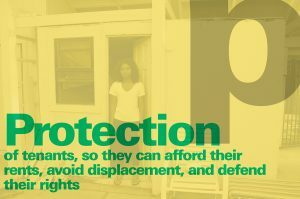 Over the last forty years, demolition, rising rents, condominium conversions, and inadequate maintenance have caused the number of inexpensive housing units to plummet, lagging far behind demand. Nationally, the number of units affordable to extremely low income renters fell by more than 3.5 million units from 1991-2013, a loss of 17%. This decrease occurred in the 1990s; the supply increased slightly after 1995, but by a paltry amount. Between 1999 and 2011, the number of units affordable to renters with extremely low incomes increased by just 171,000 while the number of renter households in this income group increased by nearly 3.3 million. 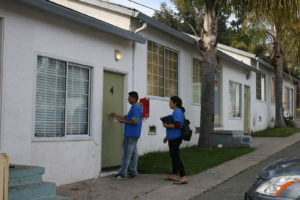 The Joint Center for Housing Studies finds that in the 1990s 30% of all housing renting for $400 and below had been torn down or otherwise removed from the stock by 2009, or repurposed for higher rents. In addition, we’ve seen significant reduction in federally subsidized housing stock. 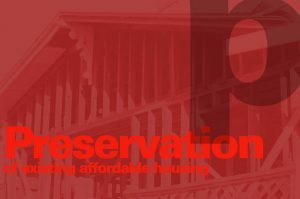 The public housing inventory decreased by 18% or 250,000 units between 1994 (when public housing stock was at its peak) and 2012, largly reflecting the widespread demolition of distressed projects. Many of these have been replaced by well-maintained, mixed income developments, but the result is a net loss of subsidized units. In addition, more than 320,000 units of privately owned federally subsidized units were lost since 1998 as owners decided against renewing their subsidy contracts or opted out of their federally insured mortgages.